What is Rodgers Ranch Urban Farm? Rodgers Ranch is a small farm tucked in the middle of Pleasant Hill, CA. It’s a place to for anyone to come and learn about how to grow edible plants, raise bees, and all things related to gardening and farming. Our motto is Learn By Doing. Rodgers Ranch was begun as a farm back in the 1800’s, and we are now continuing it’s legacy by using it as a place to work on a real farm. The farm is in a quiet, safe and relaxing location, with wonderful air and good views of Mt. Diablo. The farm house is actually the oldest building in Pleasant Hill. It has been restored to original condition, but we’ve added a modern bathroom. We do teach classes, but nothing works as well as getting a little dirt under your fingernails. Our classes are typically 20 to 30 minutes, then we get busy and try out what we’ve just discussed. Classes are for any age. We’ve had many visitors from elementary schools, middle schools, and high schools. We also teach various classes for DVC (Diablo Valley College), including culinary farm-to-table courses, and also for CCA (California College of Arts), where we are working on engineering design of farm tools and systems. We teach a combo of techniques that use the least water and resources, and produce the most nutrition. We teach bio-intensive and bio-dynamic methods, as well as permaculture principles. Our classes our especially suited for home gardeners, schools and restaurants. We learn how to grow as much as possible in small areas, including balconies and containers. Begun as a farm during the gold-rush era in 1867, Rodgers Ranch is now listed on the National Register of Historic Places. It continued as a working farm all the way to 1978. In 1987, the remaining land was sold for home development. The core of the farm was given to Pleasant Hill Rec & Park District. In 1991, a non-profit organization was formed to restore, preserve and manage the property (Rodgers Ranch Heritage Center). This included installation of a modern bathroom! And in 2012, Rec & Park graciously gave permission to resume farming activity at the site. 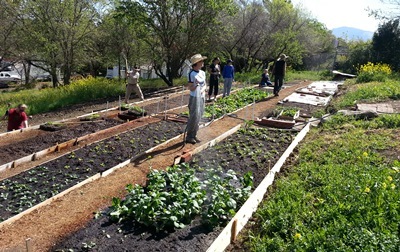 Intended primarily as a teaching facility, the Rodgers Ranch Urban Farm has been an extremely popular venue for people from not just Pleasant Hill, but all around the Bay Area. Since inception, the Urban Farm has had weekly meetings and classes, touching hundreds of people. 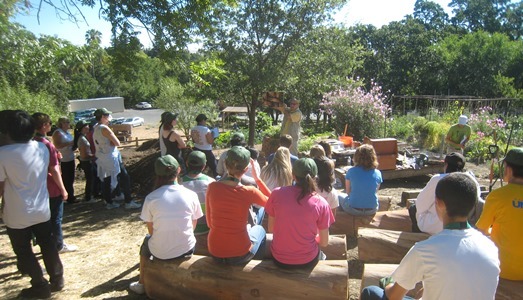 We have students from elementary, high school and universities all engaging in various classes at Rodgers Ranch. This includes culinary farm-to-table classes through Diablo Valley College, design classes through California College of Arts, numerous elementary schools in the Contra Costa and Mt. Diablo Unified school district. We also work regularly with special-needs students through RES Success and other groups. Every spring, we host a Festival at the Urban Farm. We offer many varieties of heirloom, rare and high-nutrition plants. Along with plant sales, bag-your-own compost, planters, tools, organic fertilizers, we provide classes by subject matter experts – everything you need to get planting. Plus food and drinks!